The new millennium has not been kind to the Teenage Mutant Ninja Turtles video game franchise in the same way the late 80’s and early 90’s were. There have been some bright points, like the console game based on the 2007 CGI film TMNT and the Game Boy Advance game of the same name, as well as WayForward’s Danger of the Ooze, but overall the post SNES/Sega Genesis Turtles games have ranged from okay, to forgettable, and ever since Activision took over the license in 2013, downright terrible. To the rescue seemingly is Japanese developer Platinum Games who have been balancing high-profile work with Nintendo on games like Bayonetta 2 and Star Fox Zero with licensed titles published by Activision such as The Legend of Korra and last year’s well regarded by fans at least Transformers: Devastation. 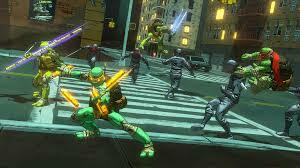 When it was leaked late last year and then officially revealed early this year, Teenage Mutant Ninja Turtles: Mutants in Manhattan seemed like a match made in heaven as you could easily see the action heavy gameplay the studio is most known for meshing perfectly with the TMNT license. While Mutants in Manhattan is easily the best Turtles game published by Activision, and one of the best in a long time, it’s still disappointing that it’s not the slam dunk that it perhaps could’ve been. 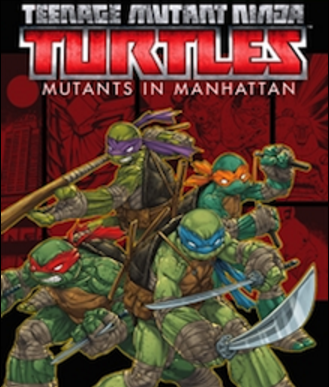 The premise in Teenage Mutant Ninja Turtles: Mutants in Manhattan comes from Tom Waltz, the writer of the incredible Teenage Mutant Ninja Turtles comics from IDW which you all should be reading if you’re a fan of the franchise. Though the set-up comes from someone who has a clear understanding of what has made these characters so enduring over the decades since their inception, its old hat to Turtles fans: Shredder and Krang are invading New York and it’s up the Turtles to stop them. It’s easy enough to follow, but at the same time it feels incredibly disjointed. Levels in the middle of the campaign can be played out-of-order and it makes it such that the narrative doesn’t flow as well as it should. One moment you’re in the sewers and the next you’re out in broad daylight with no clean transition. What the story lacks in depth though, it makes up for with characterization. The interaction between the heroes is the best I’ve seen in any game and each exhibits their personality traits that we’ve all known since the infectious theme song pumped loudly from our TV’s in the early 90’s, so even though the story is nothing new, the between mission cut-scenes are still very entertaining to watch and serve as a nice break between the action. If you’ve played any Platinum game, especially last year’s Transformers outing or more particular Bayonetta which both titles hinge their overall mechanics on, you know exactly what to expect from Mutants in Manhattan: Light and heavy attacks, combos, dodge rolls as well as counters and it all works very well…in the tutorial. Before jumping into the campaign, the game encourages you to play through a small tutorial to familiarize yourself with the mechanics which work well and are easy enough to understand. The difference between the tutorial and the campaign though, is that there’s only one Turtle on-screen to manage. I don’t envy anyone who makes a TMNT game as it makes sense to the license to have all four Turtles fighting together as a unit, but it doesn’t quite work from a game that requires carefully studying enemy movement patters to attack and dodge accordingly. I played through the campaign solo, and it was at times a chaotic nightmare. Smart, careful movement fell to the wayside as I just jumped into each fray with four characters which made it impossible to know when to block or dodge accordingly to perform a parry; Something I easily pulled off in the tutorial. This may be different if you have a friend or three to play co-op with, but that’s easier said than done. Unlike the NES/SNES days, or even the GC/PS2/Xbox days, there’s no option for local co-op so you must have at least one friend who also owns the game to play online with or else play with random people who at times can be just as bad as playing with the AI. It could be a lot worse though. Compared to a lot of other games that have one or more AI controlled companions, they’re for the most part very helpful. If you fall in battle, they’ll quickly come to your aid to revive you and they’re also very proactive in taking down the massive boss characters, made up of classic characters like Bebop, Rocksteady, Wingnut and of course Krang and Shredder. More than once in the final results screen, it was one of my teammates who delivered the last blow and not me, so it’s not as bad as say, 2013’s Out of the Shadows where your idiot brothers would die the second they would walk into a room. 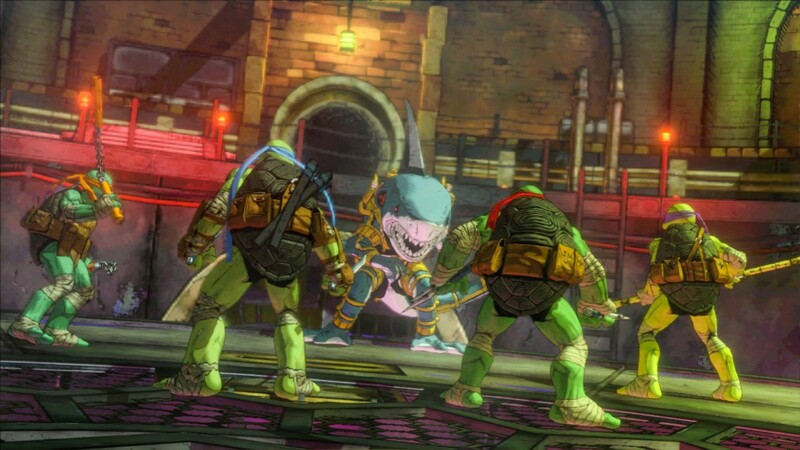 As good as the AI is though, I wish there was at least an option to just have one Turtle on-screen to deal with and leave the four being together to the cut-scenes. When not fighting Foot Soldiers and Rock Soldiers, Krang aliens and giant bosses, you’re charged with completing objectives like clearing out a room of enemies, rolling a bomb to a teleporter, returning stolen money and taking down enemies without being seen among a few others. While these aren’t difficult to do and are pretty simple overall, they don’t exactly serve as the best break up of the action and only showcase how lazy the level design is in Mutants In Manhattan. In the first stage you’re running around a semi-open portion of New York, scaling walls…somehow, I didn’t realize the Turtles were Spider-Man, grinding on rails and seeking out collectibles. This level was in the initial trailers and it pegged the game as perhaps being somewhat open-world but sadly, this is not the case. Stage two is set in a subway station where you have to take trains to different parts of the city and I thought that this was going to be a way to move around to other parts of New York to explore and I couldn’t have been more wrong. The levels, especially the sewers which take up two of the nine stage campaign, are just boring, tedious copy and paste affairs that just serve to funnel you from one fight, side activity or boss encounter. The second sewer stage in particular where you have to fight Armaggon goes on for close to an hour with nothing to see other than the same few tunnels over and over again, not helped the least by April reminding you that it’s going on forever. You get upgrades like a grappling hook and super jump which you would also be tricked into thinking would encourage returning to already cleared stages to get out of reach collectibles, but that was just me again over thinking things. Clocking in at barely over a handful of hours, Mutants in Manhattan is a very short game but there is some replay value to be found in playing the game on higher or lower difficulties and to play around with the rudimentary leveling system. Clearing levels and doing so with higher grades awards experience which allows you to unlock new moves that you can attach to the Turtles. The moves themselves can also be leveled up as you grow your team and by the expenditure of points accumulated by also performing well in the stages. You can also equip charms that increase things like your health, strength, speed and other stats that I wish that game did a better job of explaining. After each battle run down, I was told I had obtained scrolls but I didn’t know what they were for or how to use them. When stumbling around menus I found out that this is how you go about powering up your charms as each needs items, like say five of a certain scroll and a certain amount of upgrade points to increase their potency. Outside of not being explained exactly how they work, I didn’t find that they affected the game in any significant way. I only used about two and didn’t play around with crafting more powerful charms as it felt like a waste of time to what I got out of it. More useless than the charms though is the excess of items you can get. Collecting orbs scattered throughout a level will give you things like turrets, bombs, and stat increasing drinks that can also be purchased with battle points earned through combat by returning to your lair. Save for the health restoring pizza, I never found a use for any of these items and they’re addition could have perhaps been resources used to tighten other aspects of the game. There’s simply too many and they seem to serve no purchase than to trick people into thinking that there’s depth where there isn’t any. One aspect of the game that I can find little fault over is the art-direction which while I feel doesn’t quite pop as much as Transformers, still looks terrific. The characters and environments almost have that Telltale The Walking Dead look and feel like they’re ripped straight out of a comic book and for having a lot of stages set at night, or underground in sewers and subways, there’s a lot of great use of colour. Where this game really takes a hit is the fact that there’s a last-gen version that holds it back from being as good as it could be. In the few areas where you do have an open area to explore, the streets are devoid of either people or traffic…in New York City. This is explained by Donatello as their being a city-wide curfew given the Krang attacks, but it’s just a way of saying they either didn’t want to put in the effort, or didn’t have the time, to create a city that feels alive. A cosmetic addition that doesn’t really add or subtract from your enjoyment of the game on the PS4 has the light on the front change colour depending on whatever character you’re using. It’s a little thing that I really enjoyed that I absolutely needed to bring up but again, while neither detract or add to your experience unless you’re me, I guess. 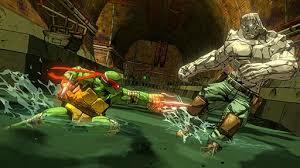 Whether or not Teenage Mutant Ninja Turtles: Mutants in Manhattan is for you is dependant on a lot of things. Despite the game’s many shortcomings, if you’re a die-hard TMNT fan this is still a Platinum game after all which means that the combat mechanics at the very least will remind you of the good ol’ Konami days where you spent hours brawling against waves of Foot Soldiers and bosses that flashed as they got closer to defeat; That goes double if you know a friend who has a copy. Fans of other Platinum efforts, or those who are casual fans of the IP should definitely wait for either rent if that’s an option or wait for a price drop because while again the combat is still fun, there’s not exactly the depth or content that a “true” Platinum game has. I don’t regret picking up Mutants in Manhattan or my time with it, but I can’t help but shake the feeling that maybe my expectations were a little to high because I didn’t fall in love with this game as much as I expected to.